The Mt Shasta Goddess Temple dedicates March to Tara. And there are few who wish to work for the welfare of living beings in a female form. until such time as all humanity has found its fullness. Tara is one of the most ancient and renowned goddesses, with roots and branches in many different religions and countries. She is known as Tara in Indian Hinduism, Tibetan Buddhism, and Celtic Polytheism, and she is also linked to Grecian Aphrodite, Mesopotamian Ishtar, Pan-Asian Kuan Yin, and Finnish Tar. The Dalai Lama compared her to the Christian Mary, Mother of God. Her name means "Star" and she is known as "The One Who Saves." We call to her for help, and she answers. 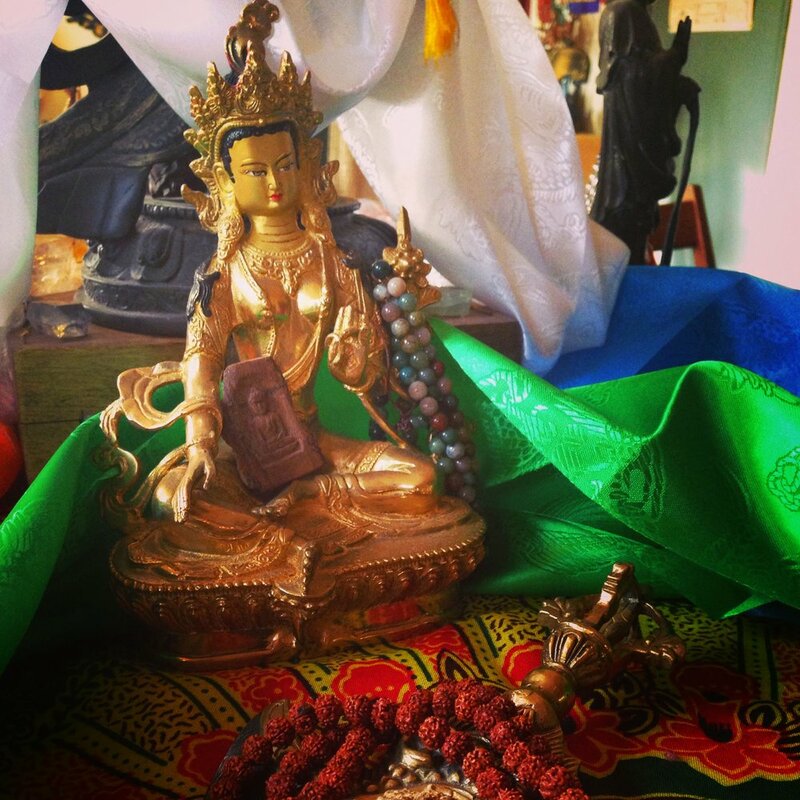 Lama Tsultrim Allione of Tara Mandala once spoke in a public teaching in Berkeley about Tara's miraculous ability to manifest in physical form when called upon by devotees. Astronomy, astrology, voluntarism, and meditation are all ways that you can connect to Tara's energy. -Traditional, translated by Erik Pema Kunsang. The shamanic animal for March is Butterfly. Butterfly represents transformation, beauty, soul flight, messages from the dead, and peace. Our Full Moon journey for members evokes these themes.